As you might have guessed by the title, I finished the Hall Tree today. It took 3 weeks instead of the projected 2 but the extra time was worth it. 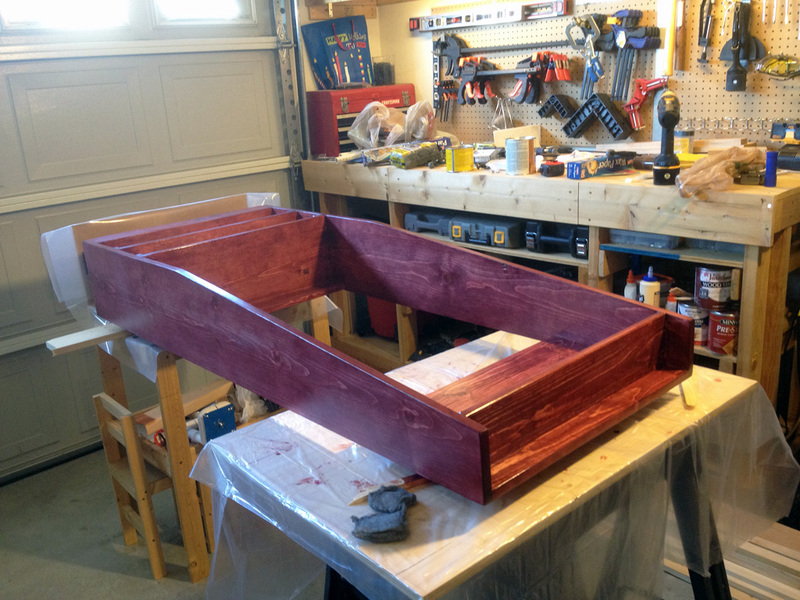 I learned a lot from this project and look forward to finishing the kid sized table. 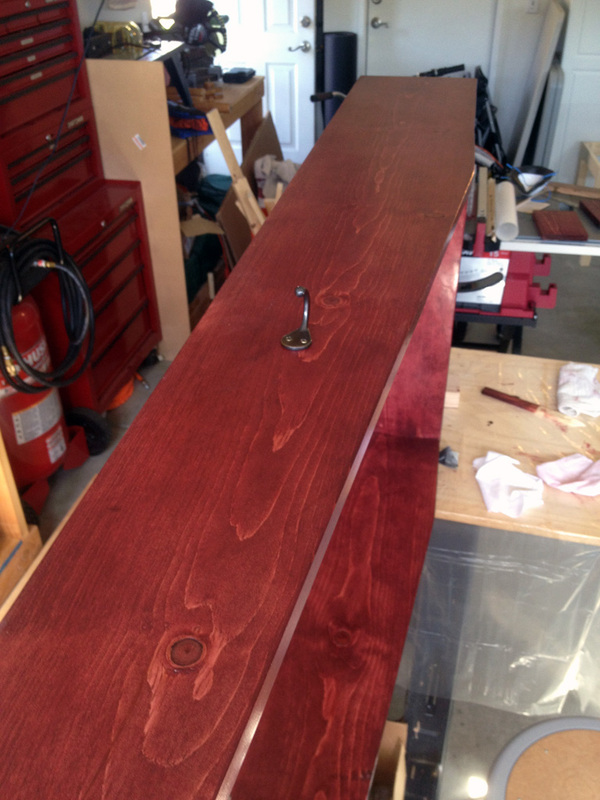 My buddy Jason came over and helped me to rub out the finish with some 000 steel wool and some paste wax. I had a 10% off coupon for Lowes so we picked up some double hangers for the front and single hangers for the sides. 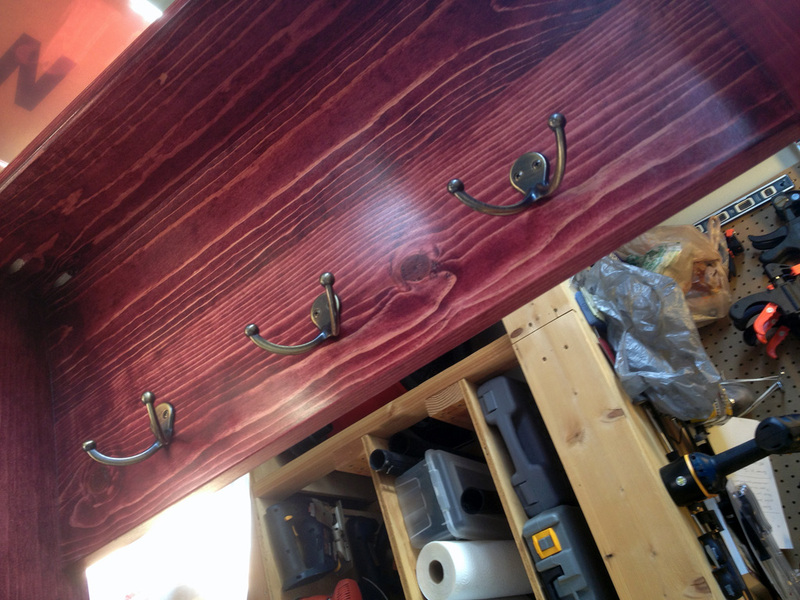 I wanted to put in hat/coat hangers but they didn’t have them in the finish that I wanted and I didn’t feel like waiting so I bought the doubles. We measured and taped a ruler to the back so we could get them all the same height. 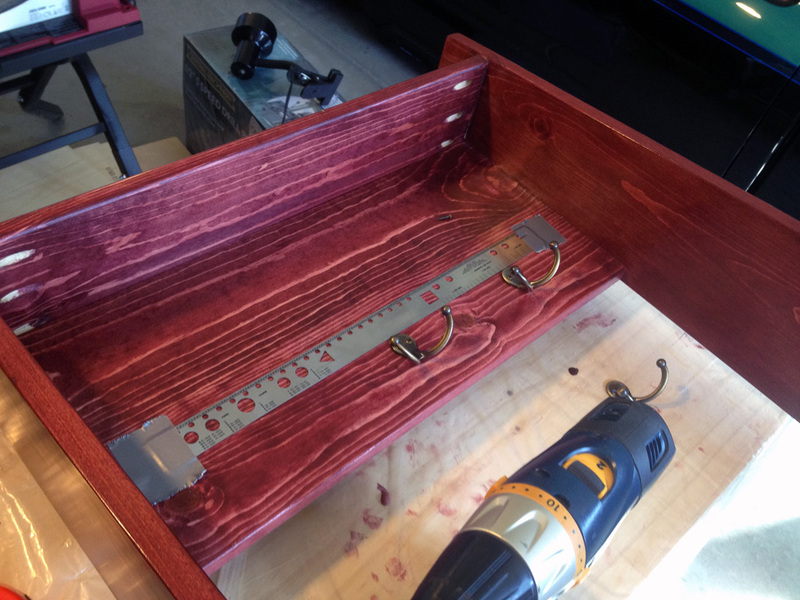 The opening is 22.5″ so the center hook is at 11.25″ and the sides are 5″ in from the outside. I put one hook on the right side for backpacks. We tested it in place and there was not enough room for the door to open with a backpack hanging on the left. We can always add another hook later. I don’t want my youngest son to be able to easily knock the tree over so I made some cleats. 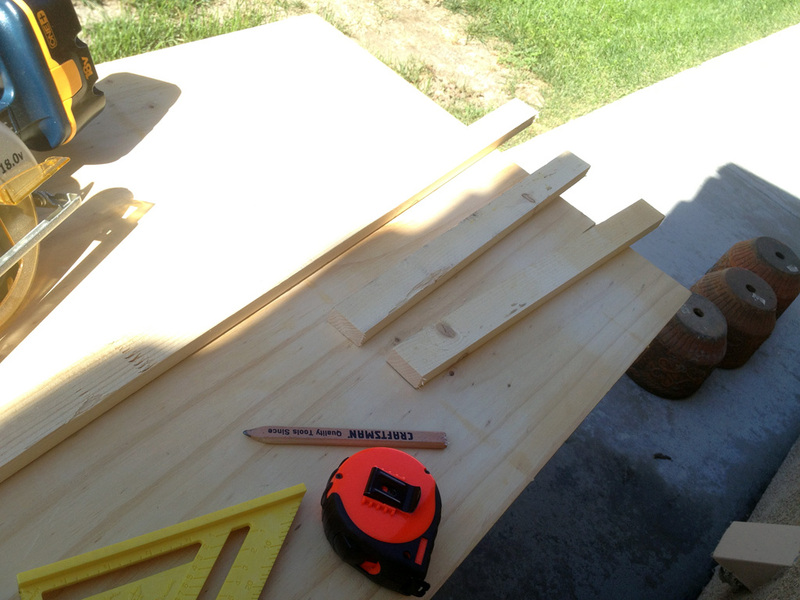 I took a 1×2 and cut it down to 2 – 18″ pieces. 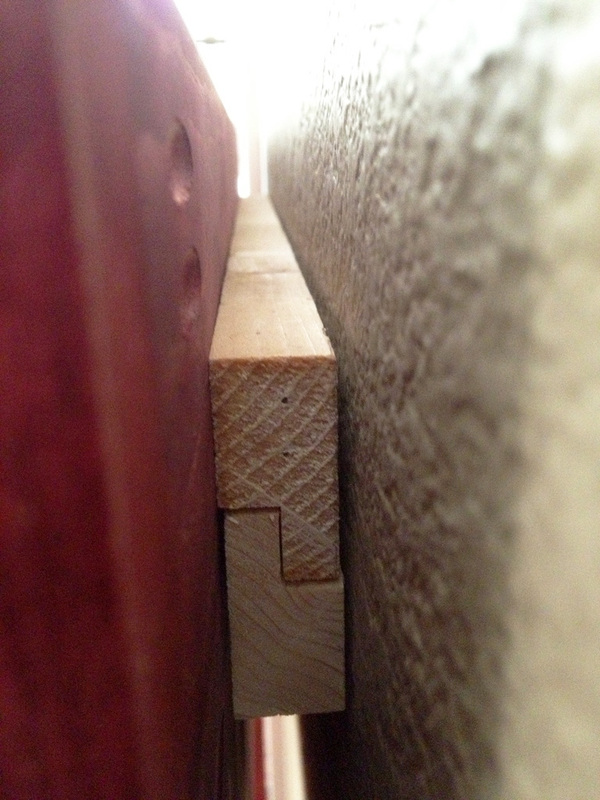 I used a 1/2″ straight cut bit in the router and made several passes by moving the fence back about 1/8″ each time until I got the depth I wanted. 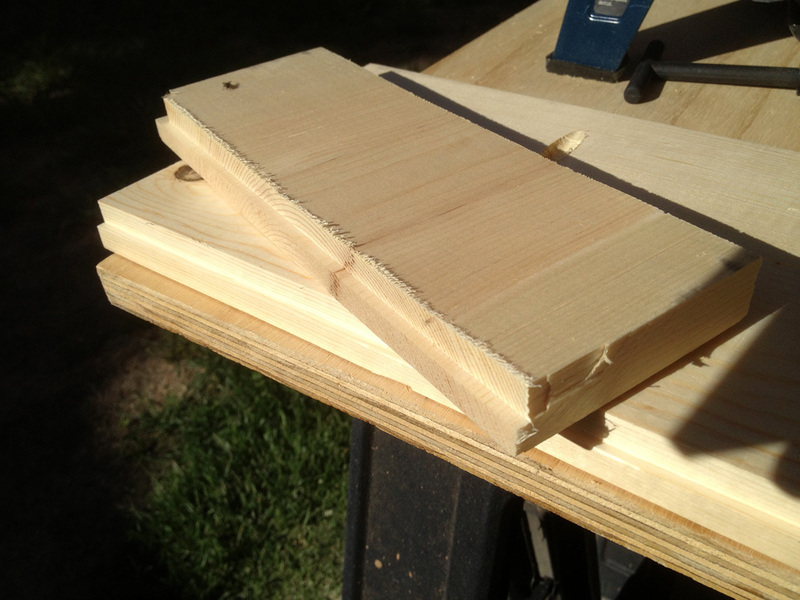 I made some test cuts first on scrap wood first to determine the height of the bit. This is where the tree is going. 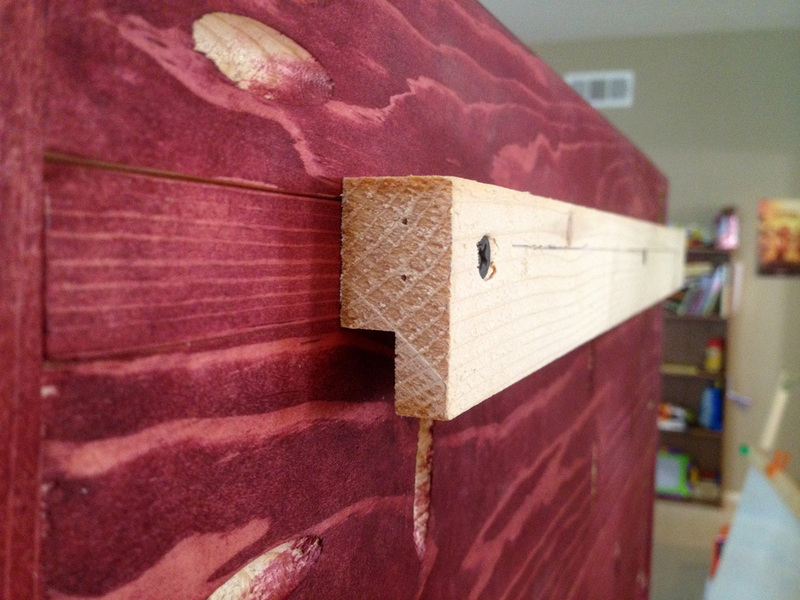 We also put in some doors stops in the hinges. I marked where the cleat was going and managed to find 1 stud. I used drywall hangers on the outsides. I pre drilled and screwed the cleat into the stud first and tested the fit. 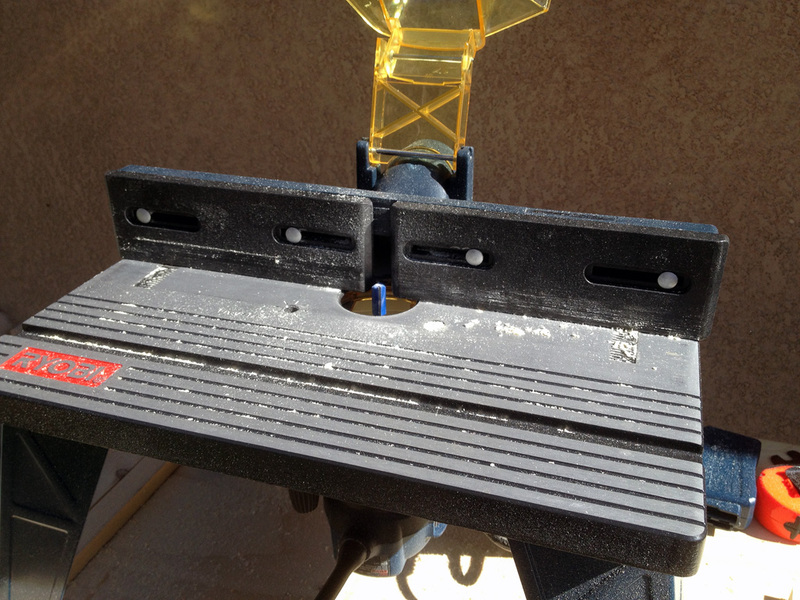 The tree was about 1/8″ off the ground so I moved the cleat down 1/4″ and then tested again. 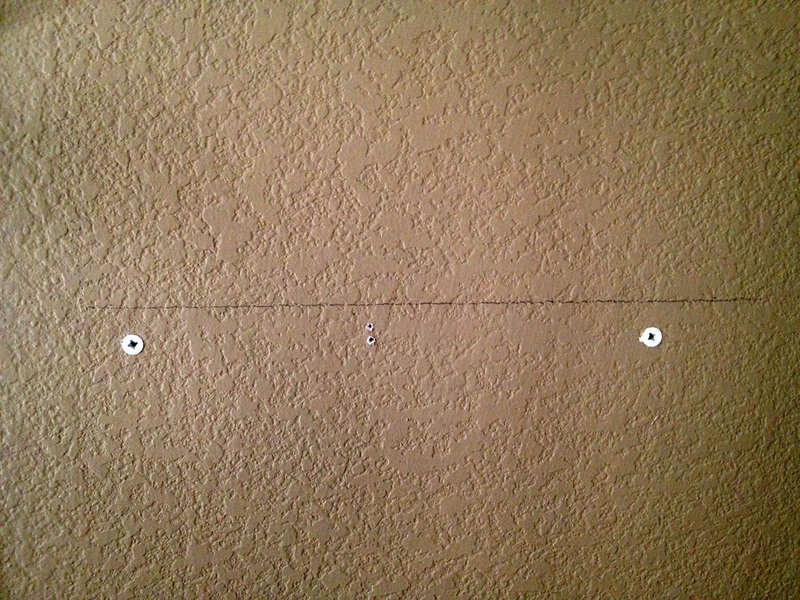 It had the fit I wanted so I drilled the 2 drywall hangers in. 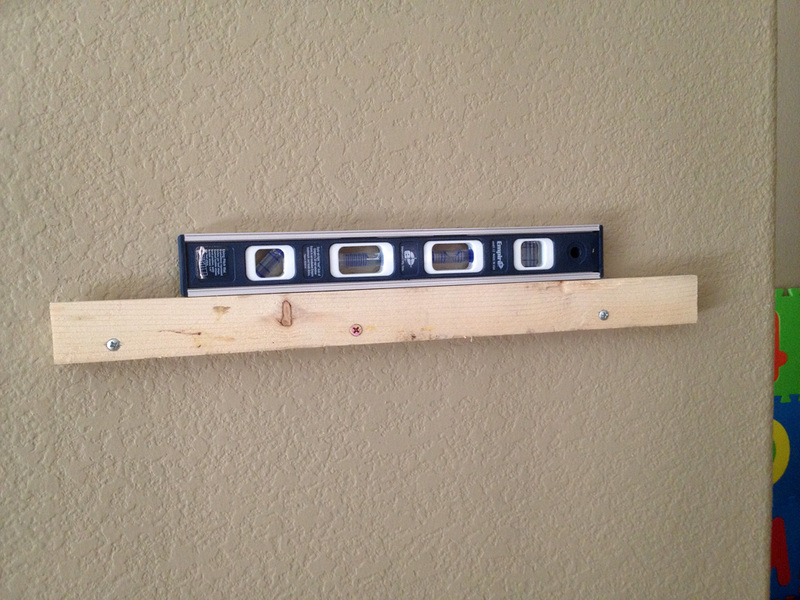 I made sure everything was level before I drilled any holes. 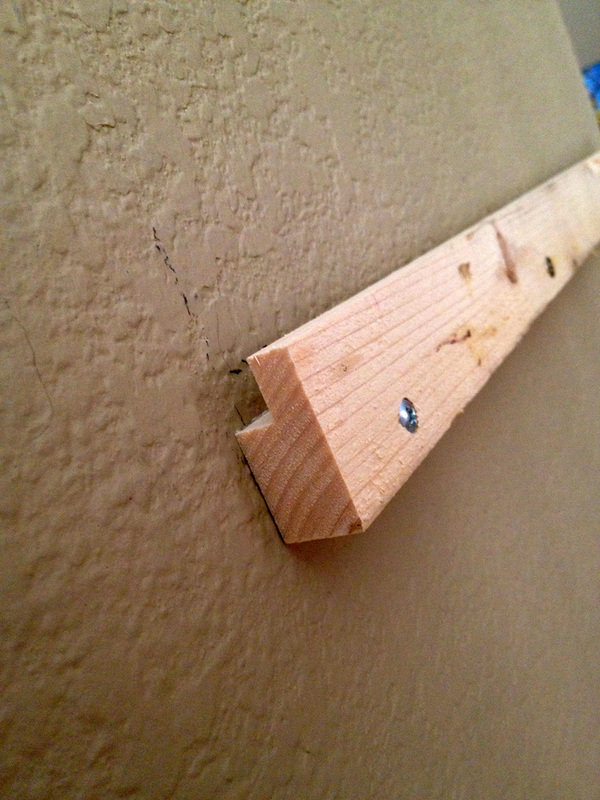 I pre-drilled and screwed the top cleat into the rear of the shelf and used 1.25″ drywall screws. This was exactly the fit I was looking for, just a little bit loose. I left the back open to acommodate the light switch. 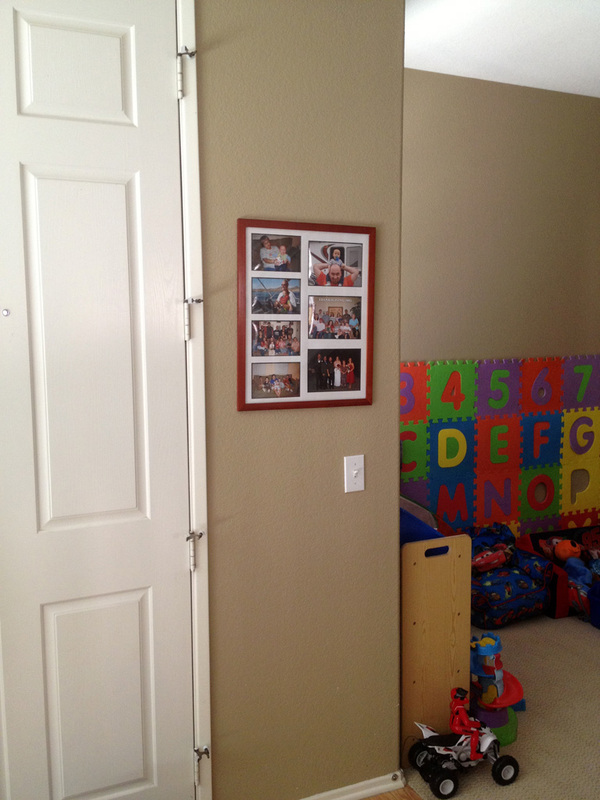 I also moved the picture frame higher. 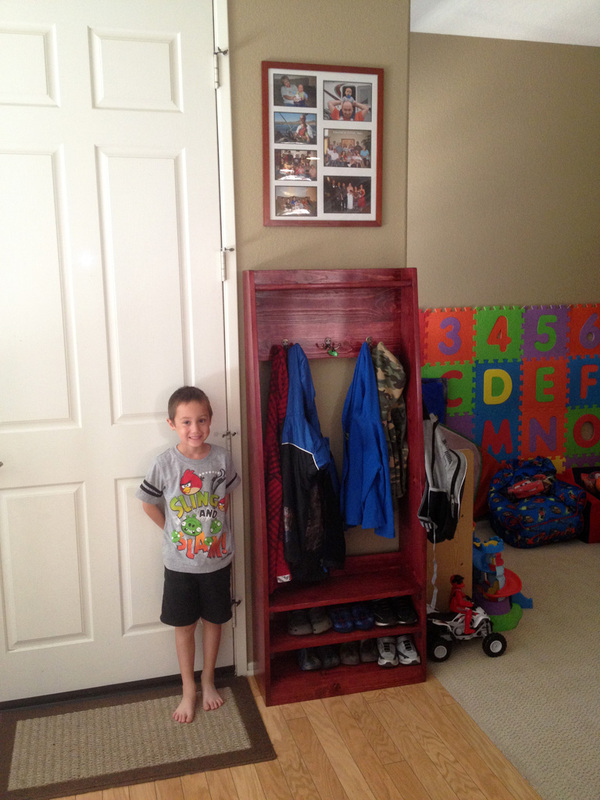 Now that it is in place I wish I had mounted the hooks a little higher. 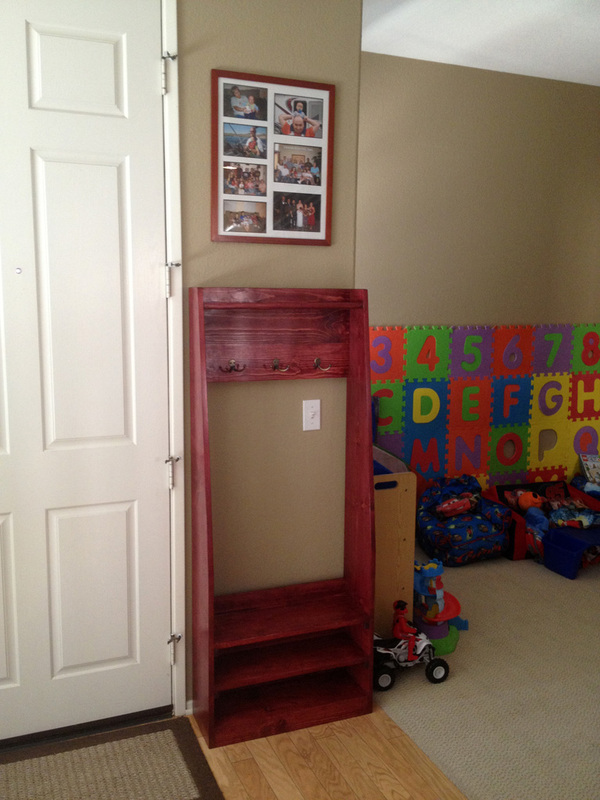 There are 2 – 5″ boards under the shelf and I mounted the hooks to the middle of the bottom board. 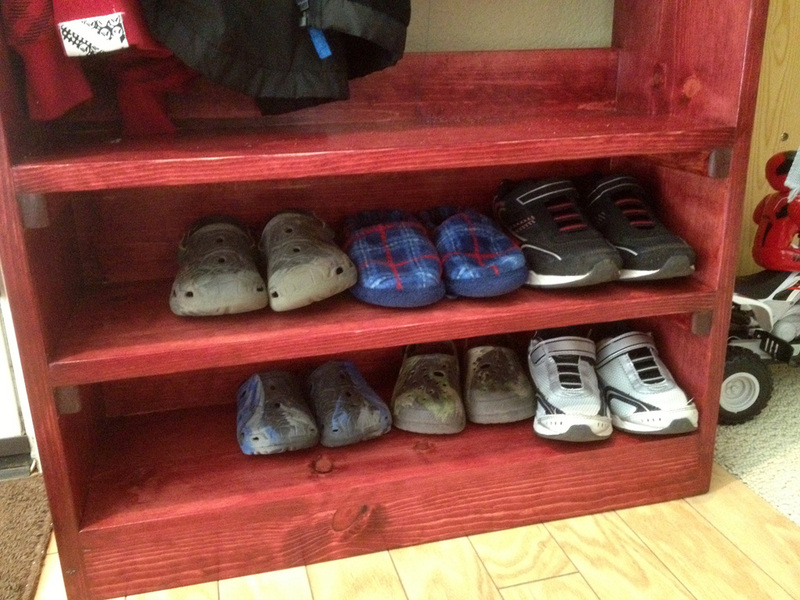 Now all the kid’s shoes are in the tree and not on the stairs for me to trip over in the dark.